How do you detect a colorless, odorless gas? It’s an important question especially when that invisible gas is as damaging as what comprises oil and gas pollution. We are talking about hazardous air pollutants (benzene), ozone precursors (volatile organic compounds), and greenhouse gases like methane – a gas that is more than 80 times more damaging than carbon dioxide to the climate in the short term. Widely available tools like infrared cameras and hand-held hydrocarbon detectors are very effective at detecting leaks from oil and gas equipment, but new technologies and new science are always welcome. That’s what makes a new paper in the journal Environmental Science and Technology exciting. Led by experts from EPA’s Office of Research and Development, and co-authored by EDF’s David Lyon, this study uses a new technique to identify and measure methane emissions at oil and gas facilities. 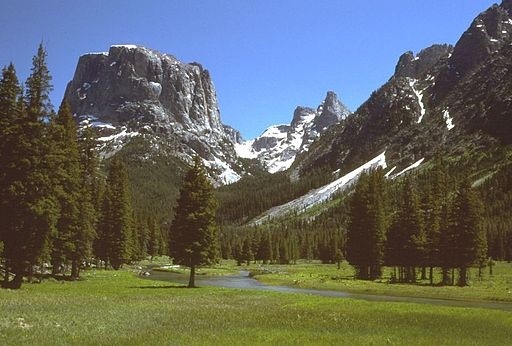 Late last week Wyoming air regulators took a second crack at a proposed rule to fix a serious ozone pollution problem in the state’s Upper Green River Basin. To use a baseball analogy, this rule designed to reduce pollution from the oil and gas industry, is a solid double. This proposal improves upon a version released in June. The updated rule extends inspection requirements to compressor stations to capture more of the leaks that create air pollution and the methane that is the industry’s main product. And it eliminates provisions that—in some cases–would have allowed companies to remove certain devices from well sites that we know reduce pollution. Clean Air Opportunity Knocks, But Will Wyoming Answer? One of the most difficult and urgent challenges facing Western leaders today is how best to regulate the oil and gas development that is quickly spreading to new areas and encroaching on towns and homes. Last weekend, The Casper Star-Tribune covered this very topic as oil and gas drilling, once mostly confined to less populated parts of the state, begins to expand into areas near Cheyenne and close by northeastern towns like Douglas that have not experienced this new neighbor before. Yesterday we explored how Wyoming regulators and Governor Mead are making progress on a set of potentially strong air pollution measures in Pinedale and across the Upper Green River Basin of Southwestern Wyoming. 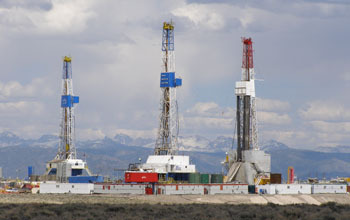 But today a similar drilling boom is happening in Converse and Campbell counties in the northeast area of the state. Unfortunately, none of these strong, sensible new air pollution requirements apply in these areas. The numbers are stark. A full 80 percent of the current drilling in Wyoming is occurring out in the part of the state with the least restrictive air quality controls. 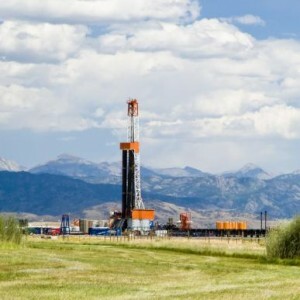 The U.S. Bureau of Land Management is currently beginning a process to consider as many as 5,000 new oil and gas wells in Converse County alone, and equal or greater drilling activity is expected in neighboring Campbell County over the next decade. 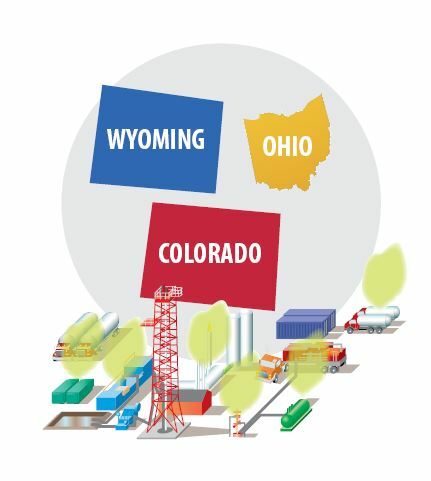 Wyoming is a national energy leader, producing more BTU’s from federal lands than every other state combined. 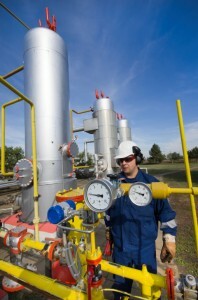 It also has a long history of leading the nation on smart, sensible oil and gas air pollution regulations. The Cowboy State was among the first to require reduced emission completions (RECs or “green” completions) to control emissions from newly drilled oil and gas wells. It has also implemented some of the country’s best requirements to find and fix leaky oil and gas equipment. You see something once, and it might just be an anomaly. See it twice, maybe coincidence. But when you see it a third time – that’s a pattern. A trend. With Ohio’s move last week to control “fugitive” emissions from oil and gas operations, that’s what we’re seeing – a rapid trend from leading states to control this major source of air and climate pollution. The Ohio rules come on heels of similar actions in Wyoming and Colorado. Together, these rules signal a fast-growing recognition that fugitive emissions are a problem that has to be dealt with, and that there are cost-effective ways we can slash these emissions today.